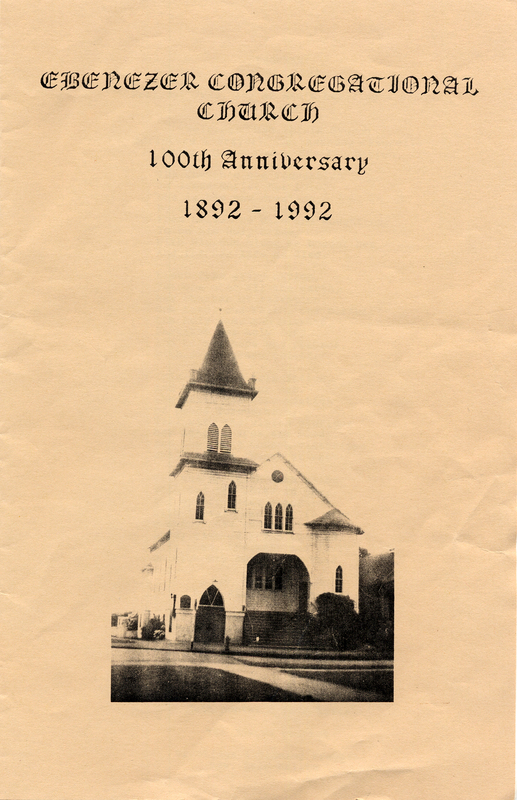 This page is a collection of stories and photos that highlight the 100+ year history of the Ebenezer German Congregational Church in Portland. Click on the photos to see larger images. 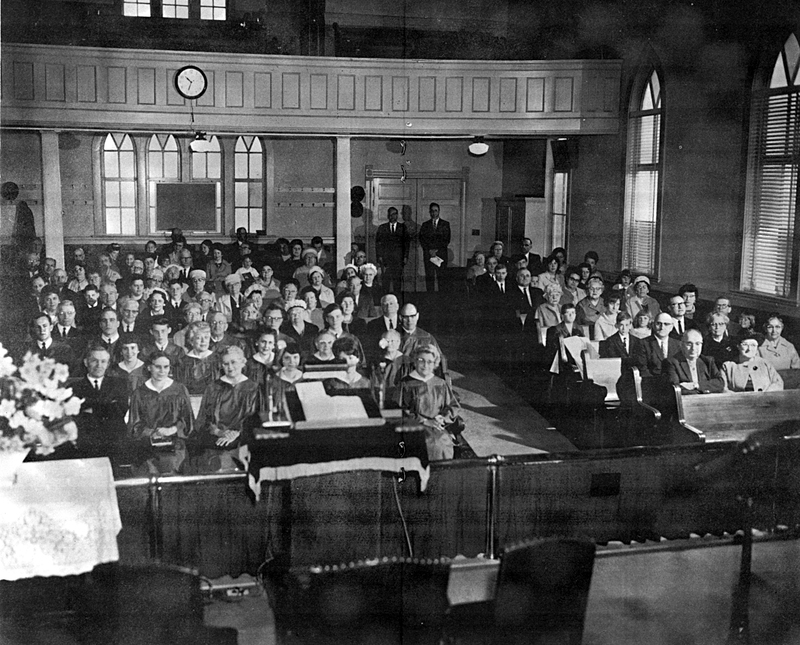 The Ebenezer Church congregation in 1967. 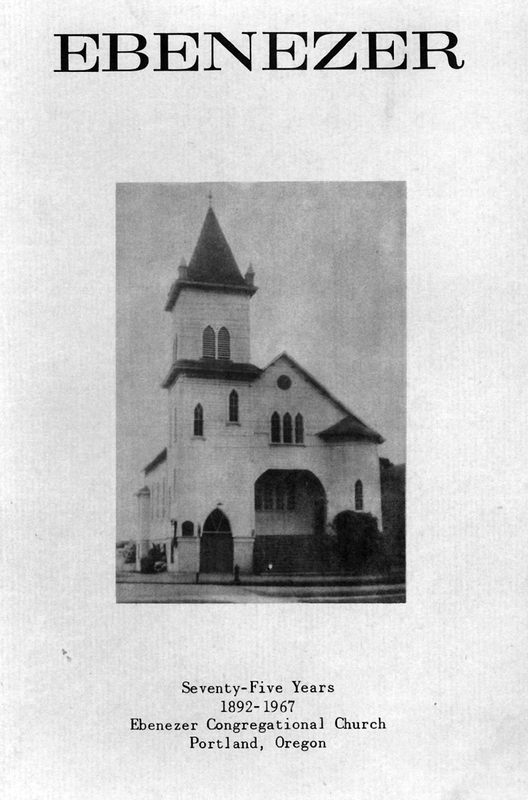 Source: The Ebenezer 75th Anniversary Booklet. 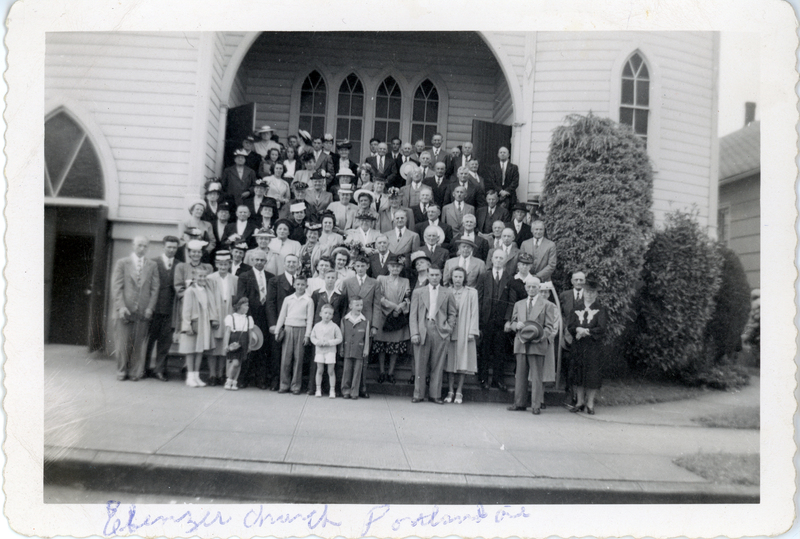 Group photograph at the Ebenezer German Congregational Church in Portland, Oregon. The photo appears to have been taken in the 1940s. 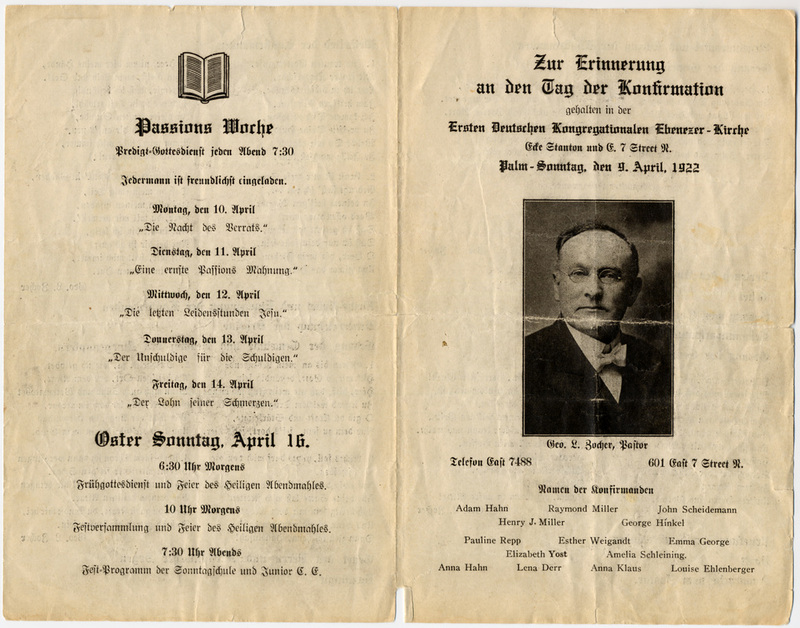 Written on the back is "Zur einnerung an die Herzlichen Stunden (Translation: In memory of the happy time) - Brother Nick Busarom." 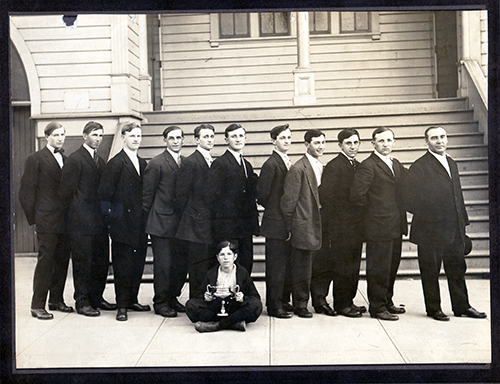 This photograph, dated July 23, 1913, is what appears to be an athletic team (possibly the Ebenezer Young Men's Club) posing with their trophy outside the front steps of the Ebenezer Church. Rev. Hopp is shown to the far right of the photo. Also shown in the photo is Jay Miller (position unknown) and John J. Hopp (fourth from the right). Photograph courtesy of Barbara Tuck.